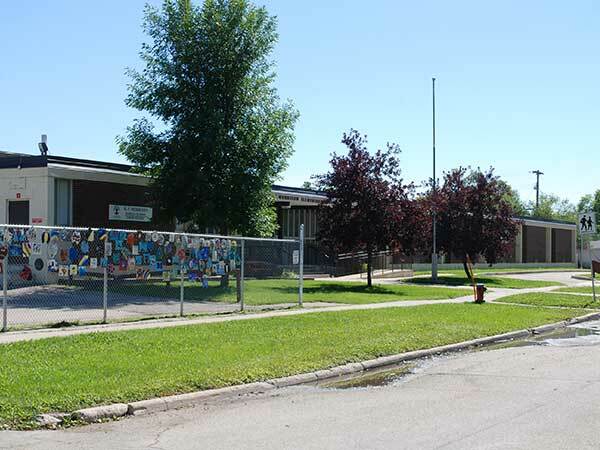 This twelve-classroom school, named for Robert Farthing Morrison, was opened officially on 29 October 1962 at a ceremony attended by Minister of Education S. E. McLean, West Kildonan Mayor C. N. Kushner, and Seven Oaks School Division School Board Chairman L. S. Alberts. At the event, a portrait of Morrison was presented to his wife and daughters. The school was built at an approximate cost of $188,000. “Opening tea Monday at Morrison School,” Winnipeg Free Press, 26 October 1962, page 19. “School trustee polling scheduled for Oct. 25,” Winnipeg Free Press, 2 October 1961, page 5. “Basement boat-builders,” Winnipeg Free Press, 20 June 1964, page 26. “School ends I Love to Read month with a bang,” Winnipeg Free Press Community Review Northeast, 7 March 2001, page 1.